This topic contains 3 replies, has 3 voices, and was last updated by Erin78 5 years ago. So, when you all are turning the top into a dress, are you just coming straight down with the hemline or coming out at an a-line? 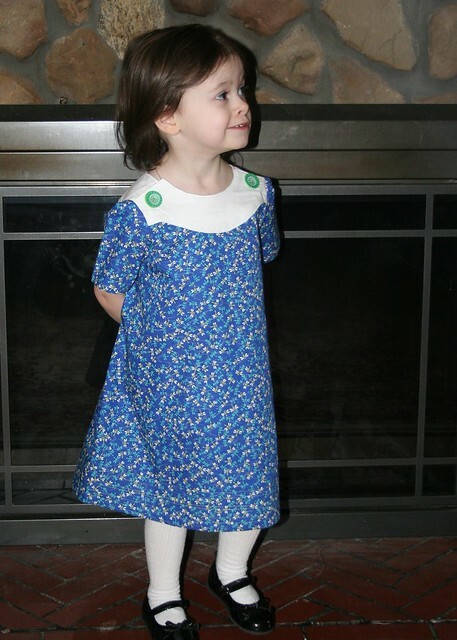 I LOVE these versions of the sailboat dress i’m seeing and really would love to make one. I actually mashed up the family reunion so it could have a full button back. The top buttons are faux, as over the head wovens are a challenge for my daughter. I went straight down and made it into a tunic using knit. It’s such a great pattern.